Photos are taken in natural light. Please allow for the rough nature of these stones--that came a long way to join us. Metaphysically, diamonds are the ultimate crystal. Diamonds are an energy amplifier, never requiring recharging. They impart fearlessness, invincibility and fortitude. 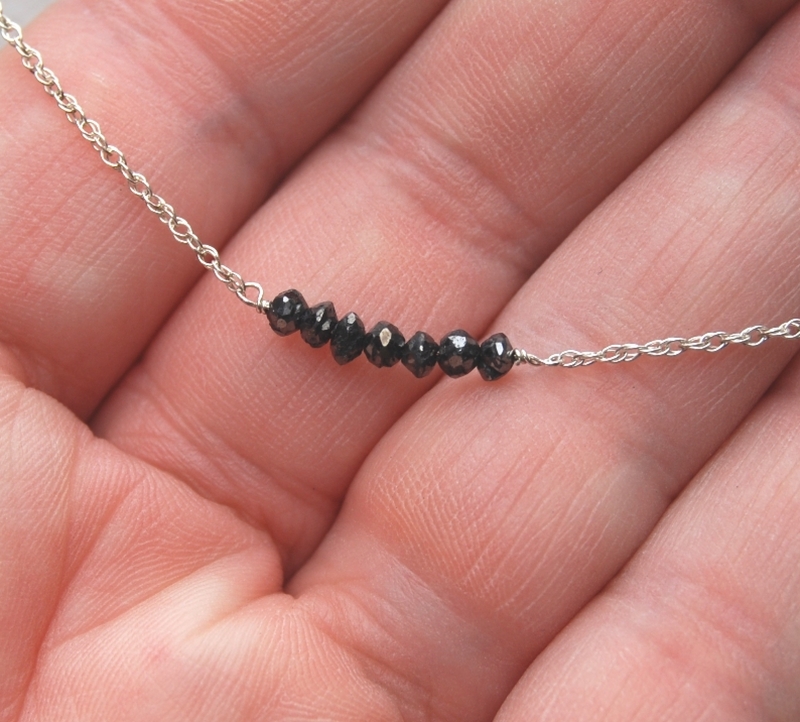 Black diamond is said to clear emotional and mental pain, reducing fear and bringing about new beginnings. They can stimulate imagination, creativity, and ingenuity, bringing clarity of mind and aiding enlightenment. 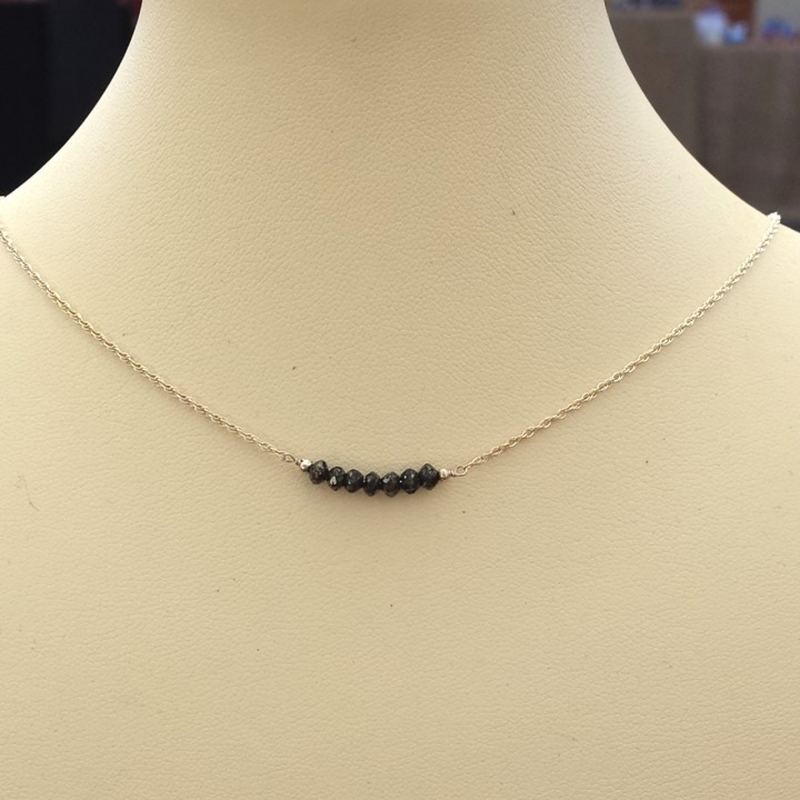 Black diamonds specifically give the courage to look within without illusion. 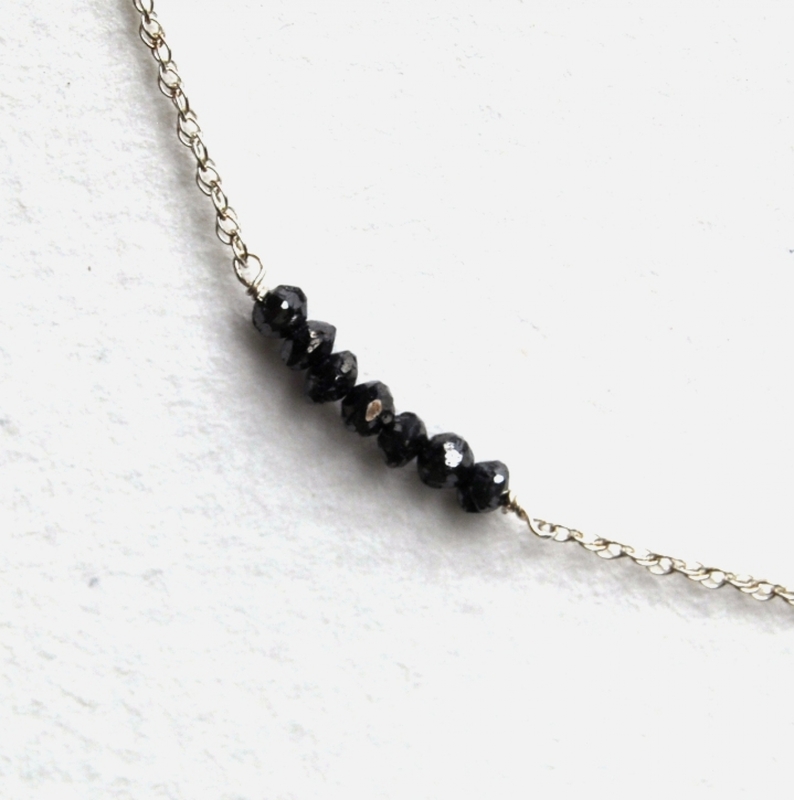 For more StoneWyre minimalist jewelry items, please visit http://www.stonewyre.com/catalog/minimalist-collection..